Well, I finally did it ! 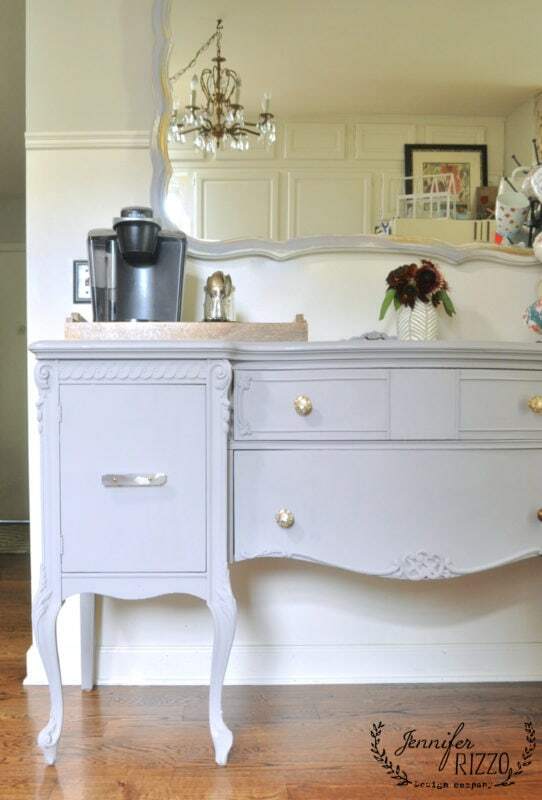 A painted buffet makeover! I am going to just apologize up front to the unpainted wood-lovers. I know I broke your heart. To be perfectly honest, the top was trashed, as were the legs. It was going to take as much work to refinish it (if not more) and I wasn’t really sure I wanted the heavy wood in the kitchen. 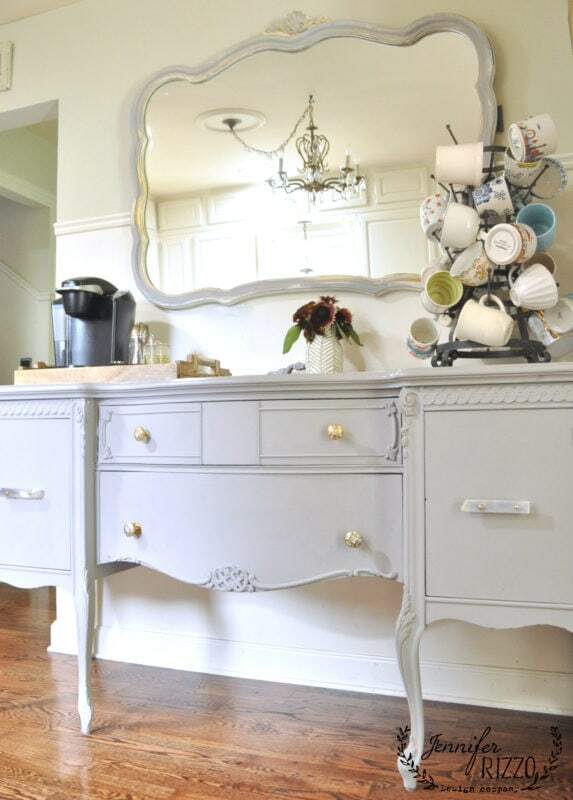 Painting can be a great way to update and refresh a tired piece of furniture. 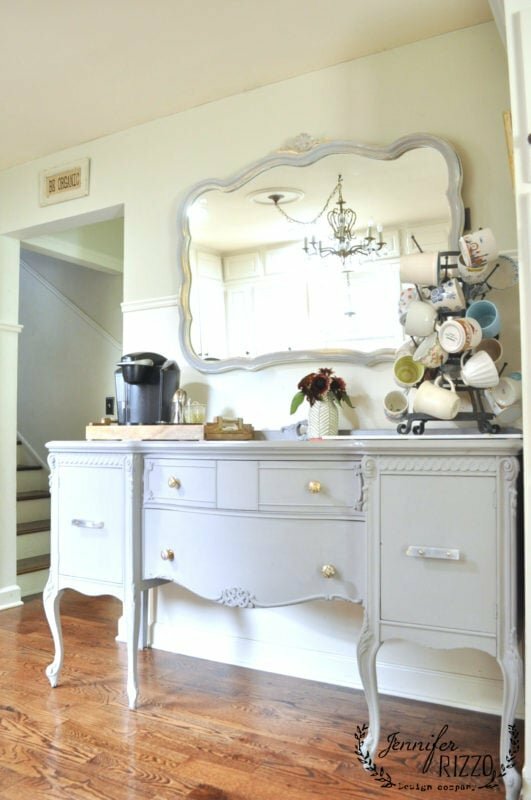 I used the gray paint I had left over from my cabinet makeover. And I have to say… I LOVE it! I am amazed at how it lightens our kitchen! Here’s a peek at the before. In fact, I can’t get over how it makes the kitchen look bigger. I moved the island out of the way to take the picture and it looks huge! 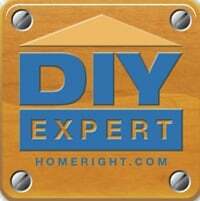 Smaller and skinnier island is the next project on the list. Painting it actually made the intricate wood detail stand out more. 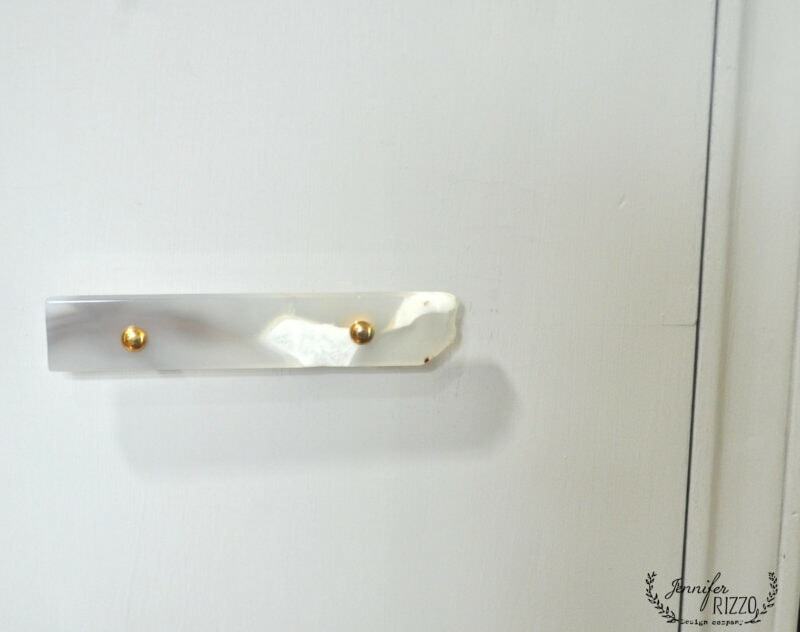 I carefully put the vintage handles and knobs away for safe keeping and replaced them with some that were a little more modern. I found the stone handles at the Hob Lob. They have such great handles. They were 50% off too. The drawer pulls are from Anthro. I loved the handle combinations and the gold against the gray. 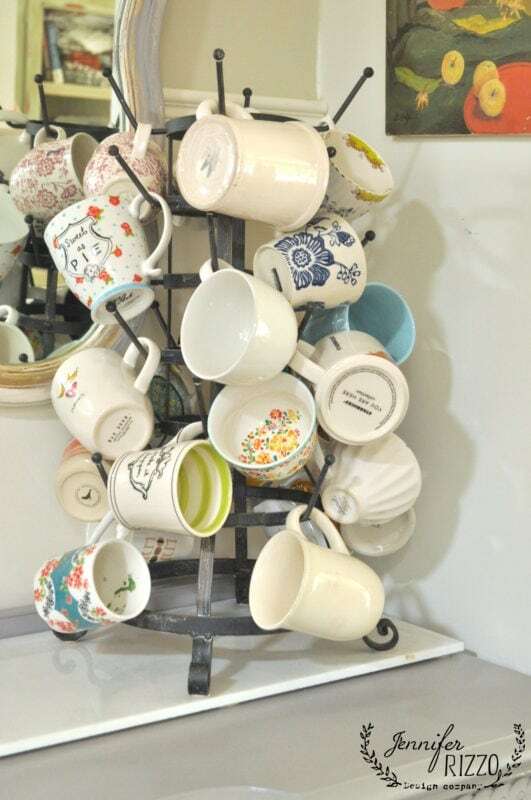 We have our little coffee station on one side that gets used several times through out the day, and the vintage bottle drying rack with our mugs. 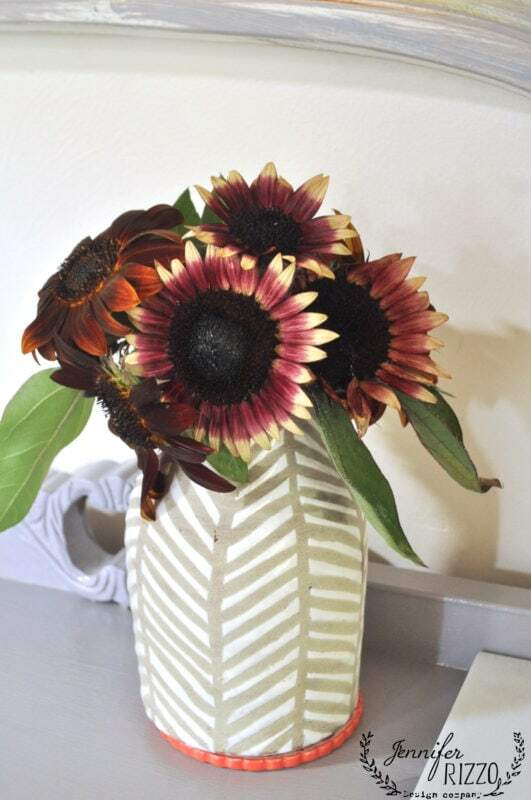 I added some heirloom sunflowers in a vase too. I love that I can keep cutting them and they keep blooming. I now wish I had painted it sooner! 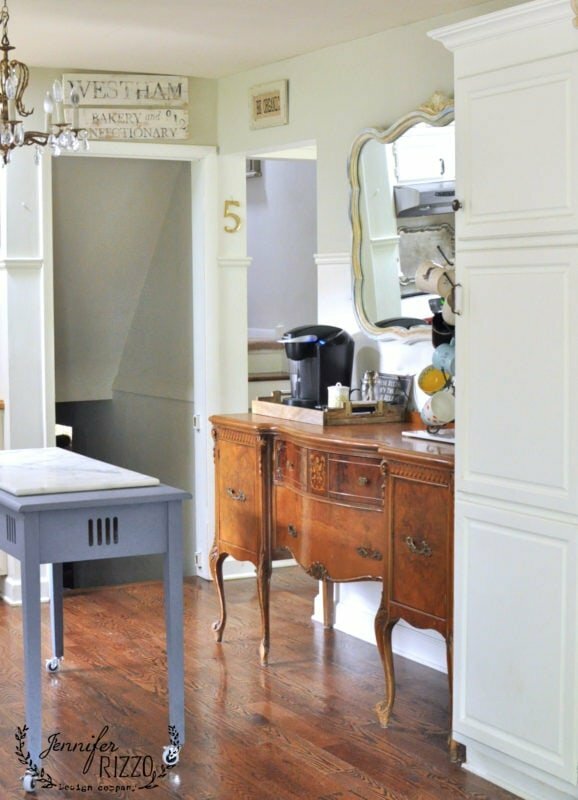 Even though I love having the mirror above the buffet, but I really want to add some open shelving. 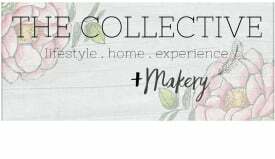 I would love to have all of my baking materials right on hand, including my serving bowls. I think it would look really pretty as well and really update our kitchen. 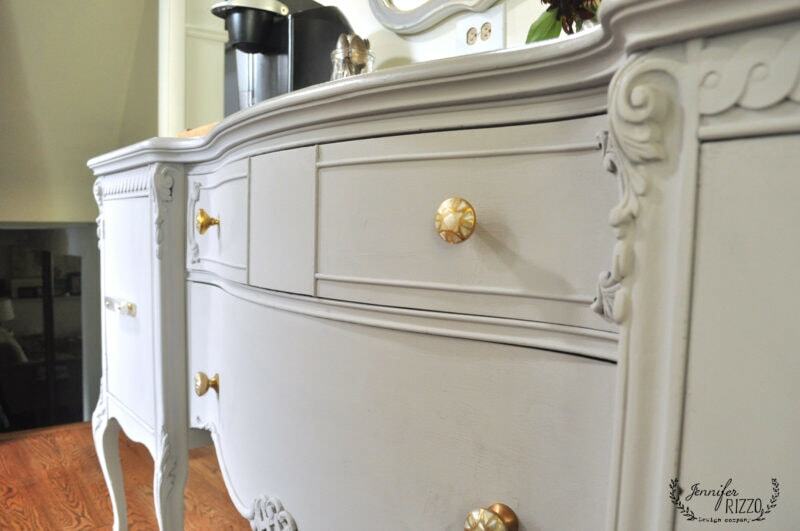 If you love painted furniture makeovers, you can read about how to make a new piece of furniture look old here. That looks amazing, Jen!! 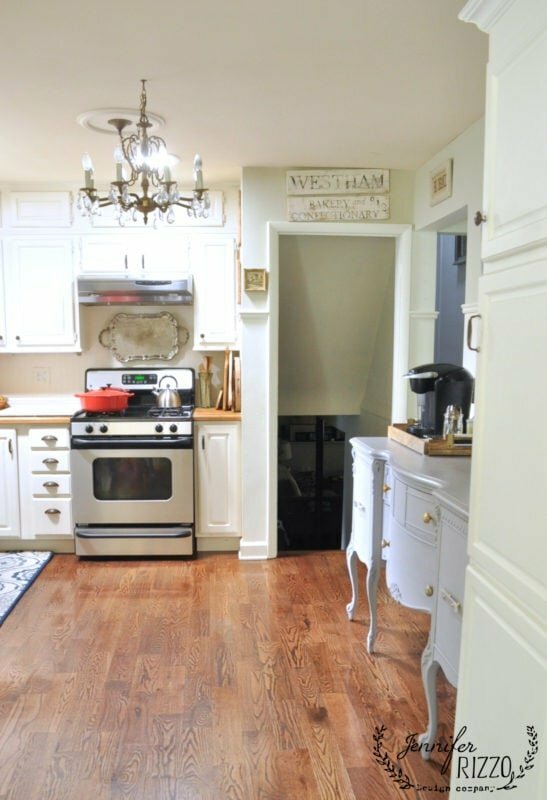 Having furniture in the kitchen is so pretty and reminds me of an English cottage. Do you miss your island? I bet not. Thanks Stacey! I do miss the island only because I cook a lot. I wish I could leave it out though! I absolutely love this! 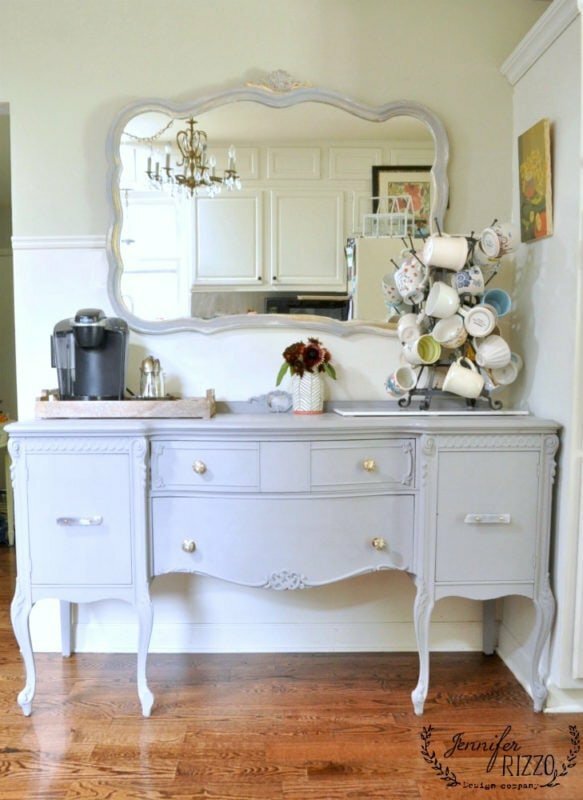 I’m doing something similar- can you tell me what color paint and what kind you used?